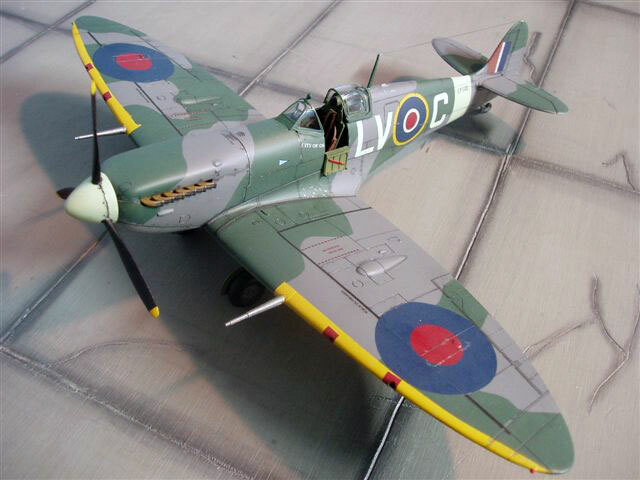 Here is my Tamiya 1/48 scale Spitfire MK Vb. This model is built straight from the box except for seat belts from Lion Roar and later style exhaust pipes from Ultracast. 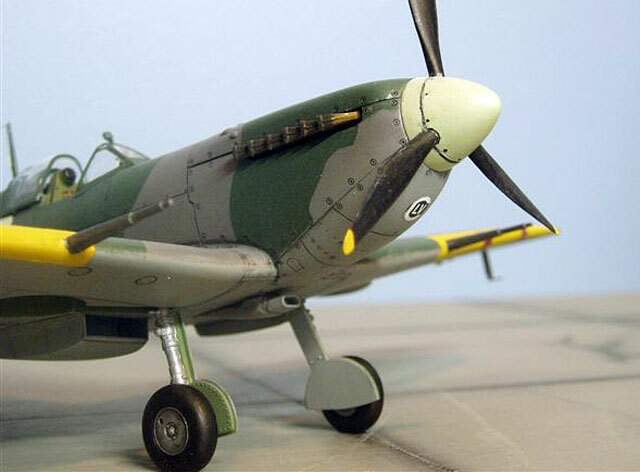 Paints were from old series Authentic Colors by Humbrol, HX-5 light aircraft grey underside , HB -1 dark green and HB-6 medium sea grey to topside. Decals are from IPMS Canada: Canadian aces decal sheet 1/48 and 1/72 scale. 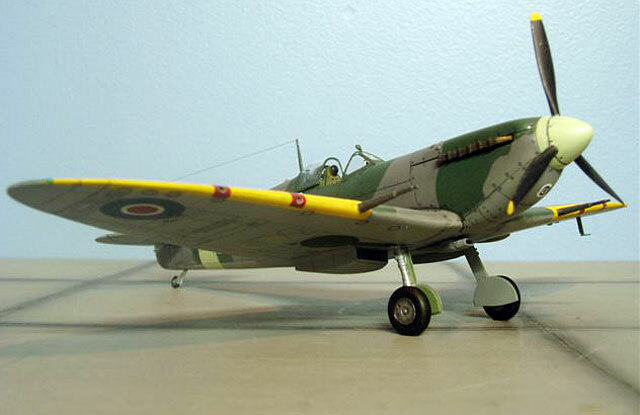 This model represent the aircraft flown by Wing Commander Lloyd Chadburn of canadian fighter wing number 127 RCAF. Chadburn was born in Montreal in 1919, he grew up in Oshawa Ontario. He won the DFC over Dieppe. 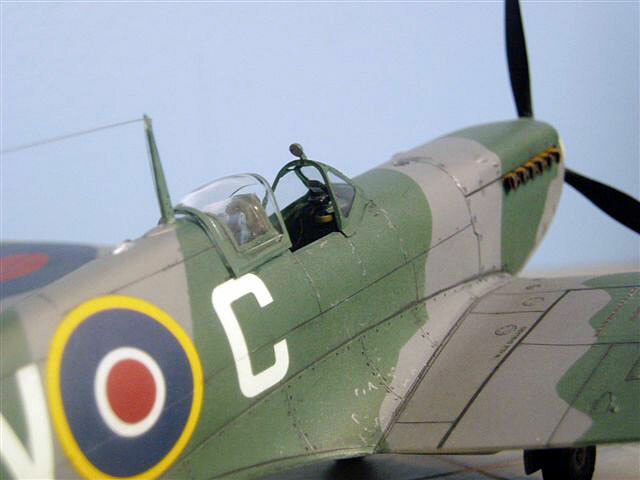 In January 1943 he commanded Digby Wing and later number 127 RCAF Wing in early 1944. 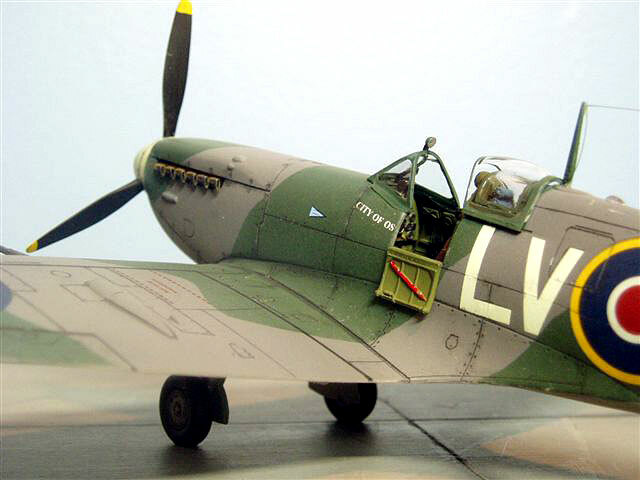 One week after D-Day during a patrol Chadburn was killed in a mid-air collision over Caen; he was only 24 years aged. His records included 14 enemy planes destroyed and two German E-Boats sunked. His personal markings was a black disk below the nose of his aircraft with the initials LVC and the legend City of Oshawa below the port windscreen with further forward a wing commander pennant.